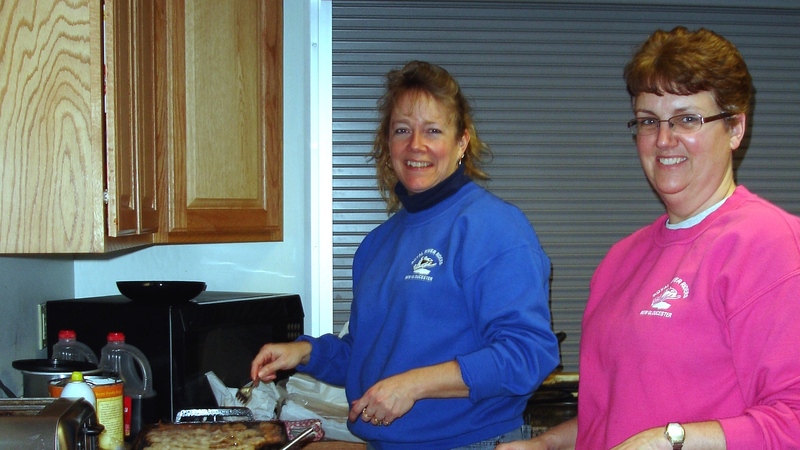 Candi Taylor, left, and Andrea Segars grill up delicious fare to serve at the Royal River Riders Snowmobile Club’s pancake breakfast in 2015. The Royal River Riders Snowmobile Club will be hosting its annual pancake breakfast, from 7-10 a.m., Sunday, Jan. 31, at Rosanna’s Restaurant, 1055 Lewiston Road, New Gloucester. The menu includes pancakes, eggs, bacon, sausage, beans, juice and coffee. The cost for adults is $7, $4 for children under 10. This entry was posted in Events, Other and tagged community, democracy, local organizations, New Gloucester Democratic Committee, Pineland Farms. Bookmark the permalink.